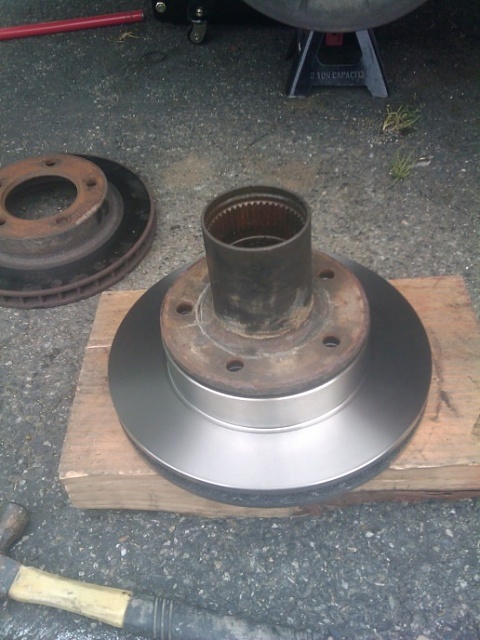 I got a new rotor from my local parts store for around $35-$50 depending on manufacter. Also Get The special socket your going to need while your at the parts store its a 4 lug x 2-3/8 outer spindle nut (hub removal socket). After i used it i just returned it they run from 20-30 dollars. Also picked up some brakekleen and bearing lube. Get truck ready with jack stands and removing wheels. Be safe. I started off by removing the 6 socket head capscews from the cap assembly and slip apart. 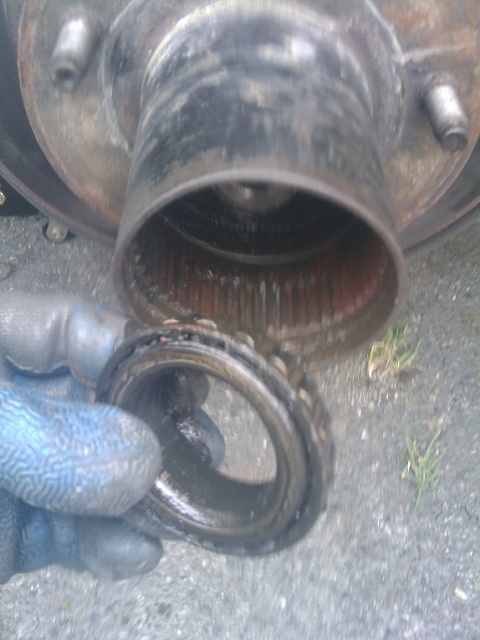 Then remove snapring (retainer ring) from the end of the axle shaft. 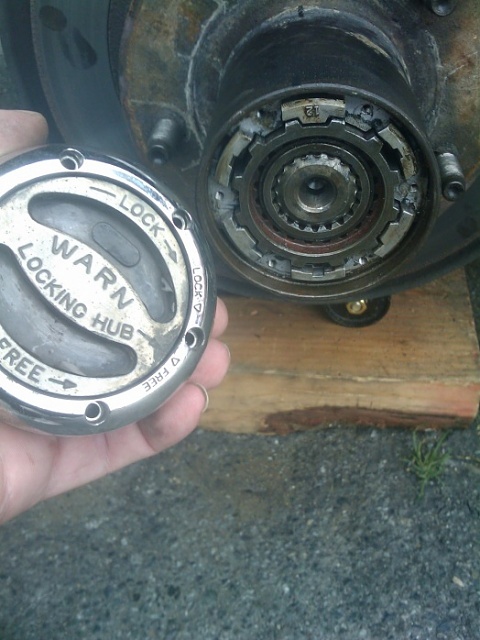 Then the lock ring seated in the groove of the wheel hub. Use two of the capscrews to remove this section from hub. Make shur to keep peices in area they wont get lost or any debree sticking to grease. Now ur ready to use the special socket. Turn counter clockwise u should hear it clicking this is good means its working. 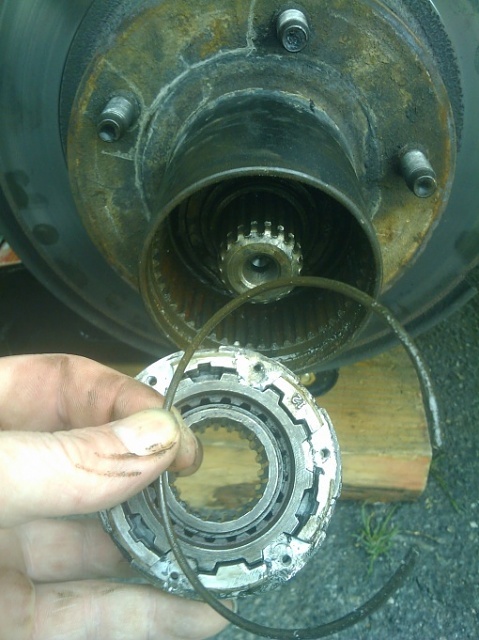 This is were the rotor comes loose so be ready. remove nut and bearings place aside. 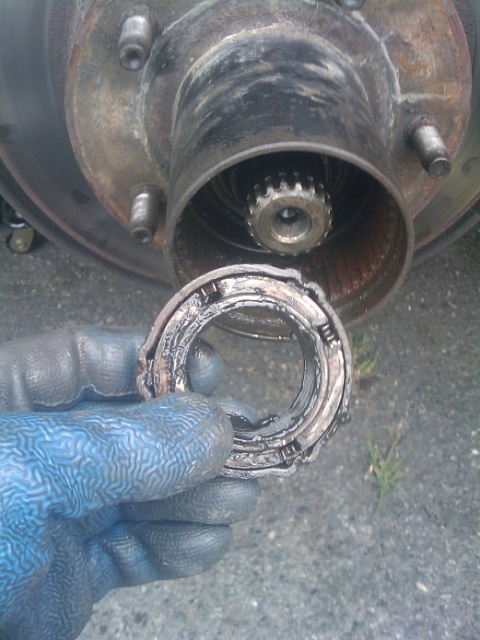 Now pull the rotor w/hub and set assembly up for removeing lug bolts. To remove lug bolts i set rotor on block of wood and used another block to hold over the bolts while i pounded them w/hammer. 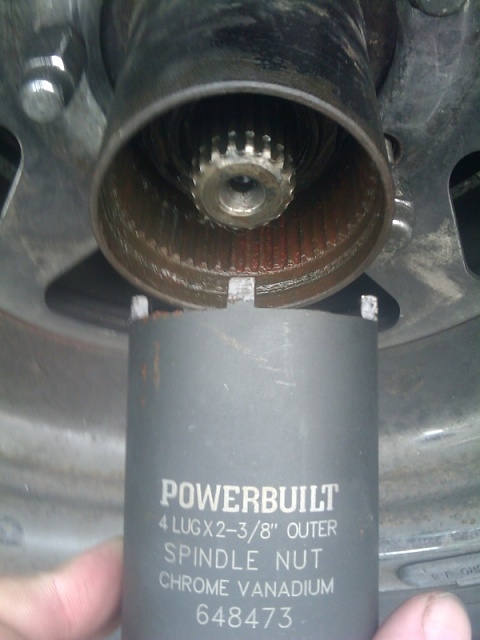 This will seperate rotor from hub. Hope this helps it worked for me.